Hi Lil Luna readers! It’s Tanya again from Lemons for Lulu! I love to share fresh meals that fit into today’s busy lifestyles. Food has to be made quickly and it has to taste good! 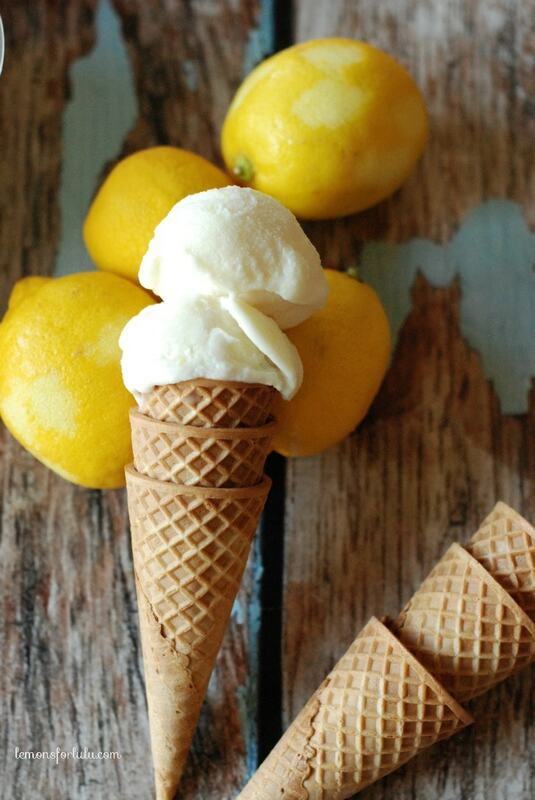 Speaking of good… today I’m sharing one of my favorite ice cream recipes! 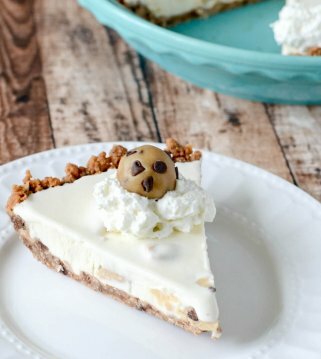 I know this isn’t exactly ice cream “season”, but this is a fabulous seasonal treat that is sure to be a hit with your family. There are certain things I HAVE to make each Christmas. Buckeye balls, coconut balls, mint cookie, crinkle cookies, mint squares and this peppermint ice cream. 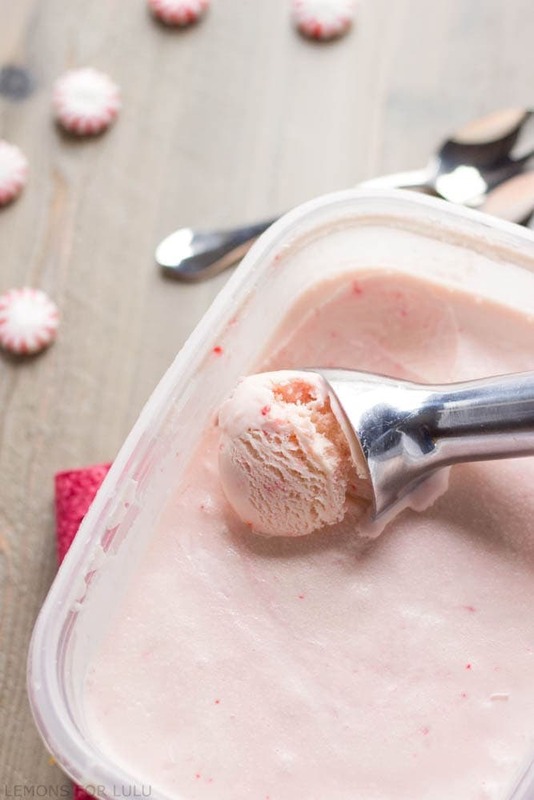 Indulging in this peppermint ice cream is just as much of a tradition as making reindeer food and gingerbread houses! 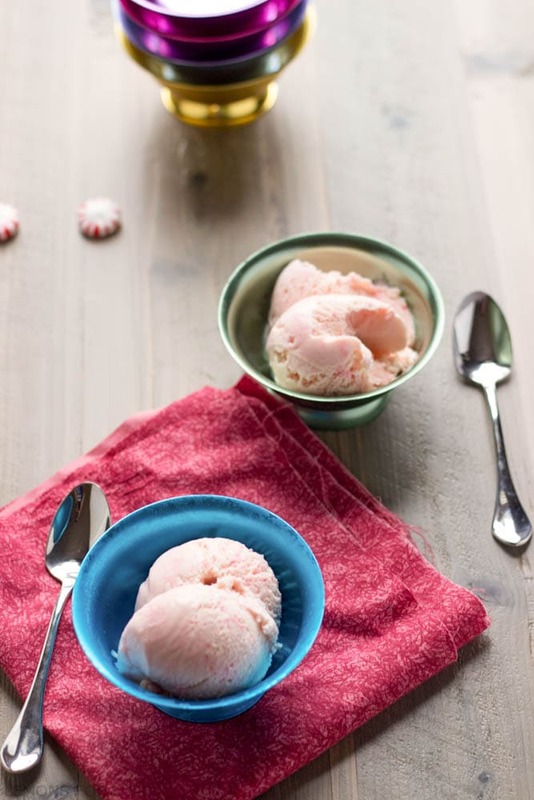 The family would banish me if I didn’t make at least two batches of this peppermint ice cream, it’s that good! 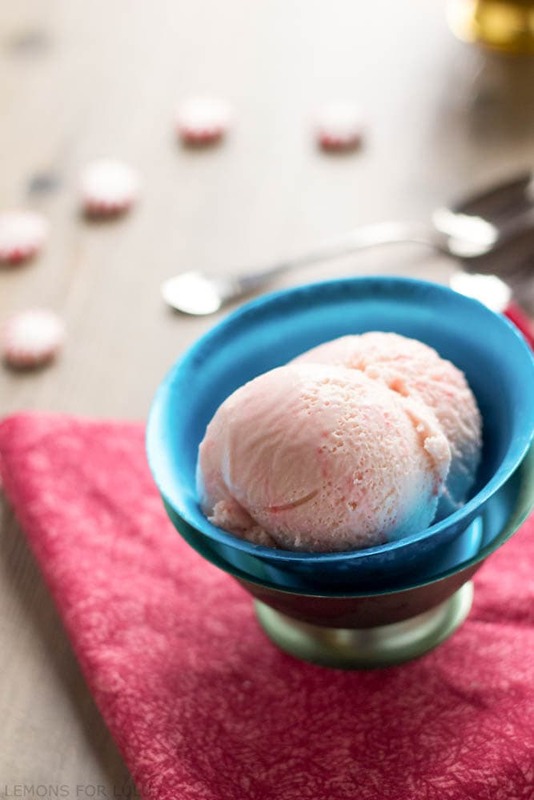 This peppermint ice cream is a creamy, minty, frosty treat! 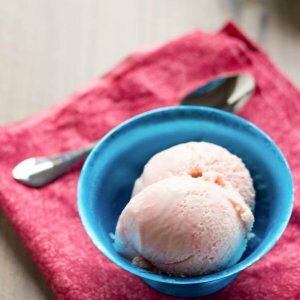 This ice cream recipe is so easy. This is the base I use for almost all my homemade ice cream recipes. Typically, I mix it up in my blender then chill it for up to 24 hours. This allows the flavors to blend and the mixture to thicken. The thicker the mixture, the creamier the ice cream. I use two parts heavy cream to one part half and half in this ice cream. Using more cream makes this ice cream richer. You could certainly do the reverse if you prefer, the texture will be different, but the flavor will be just as good. My advice to you is to stock up on peppermint candies. 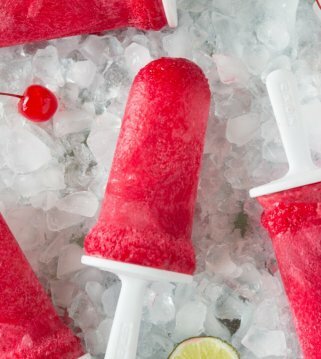 Once your family tries this ice cream, you’ll be asked to make it again and again! 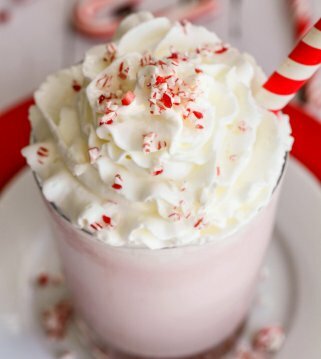 Delicious Homemade Peppermint Ice Cream recipe! 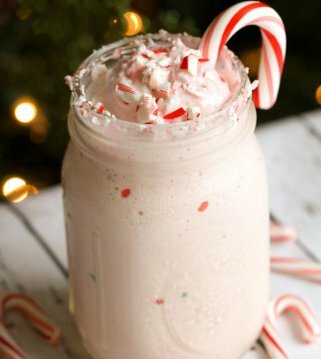 A creamy, minty treat made with heavy cream, half & half, vanilla, and peppermint extract, sugar, and peppermint candies! Combine all ingredients (up to candies) in a blender, process until smooth. Refrigerate mixture for at least one hour and up to 24 hours. 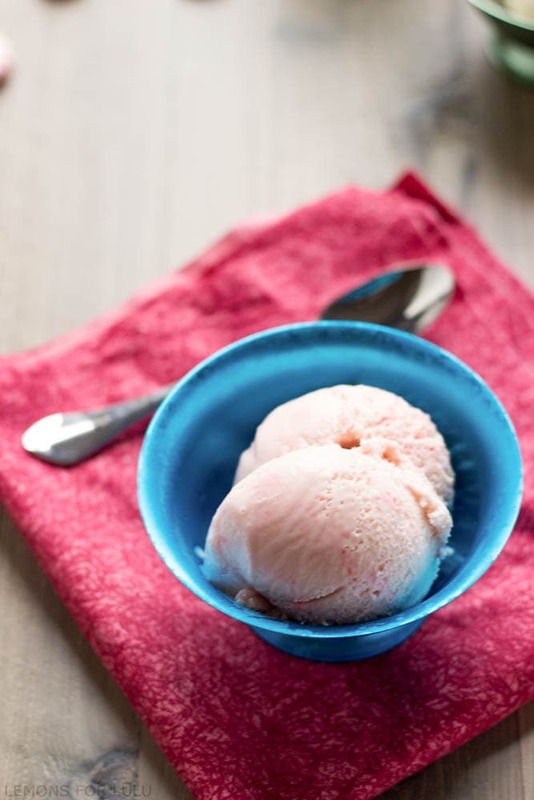 Using an ice cream maker, prepare ice cream according to manufacture’s direction, adding crushed candies during the last 5 minutes. Pour ice cream into a freezer safe container. Freeze until set. 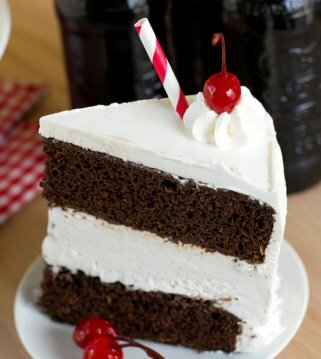 YUMMMMMMY!! 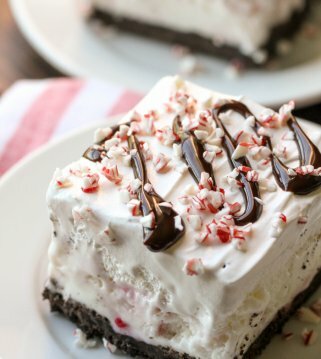 I’m seriously obsessed with Peppermint Ice Cream and CANNOT wait to try this. Thank you, Tanya! For more great recipes from her head to Lemons for Lulu. Can’t wait to try this! Sounds just perfect! I agree!! One of my favorites! Thanks!